The market performance of China's auto brands this year is quite dramatic. In the first half of the year, the performance of self-owned brands was low-key, and the market was hit by unprecedented pressure. Many people in the industry expressed concern about the future of their own brands. However, in the third quarter, the performance of self-owned brands drastically changed, with market share and total sales rising month by month. Especially in the November period just past, the market share of the sales of own-brand narrow-sense passenger vehicles reached 35.1%, the highest in 20 years. Record. The industry believes that the strong breakthrough of self-owned brands is very gratifying, and shows that the Chinese peopleâ€™s own car repair technology has been substantially improved. However, due to the influence of â€œinternal and external problemsâ€, if the independent brands want to stabilize their positions, they must be willing to invest in a protracted war. It remains to be seen whether or not the â€œresultsâ€ can be made next year. The self-owned brand is the embodiment of the core competitiveness of China's auto industry. In recent years, the development of self-owned brands has become increasingly difficult. During the period from 2005 to 2008, the growth rate of self-owned brands was similar to that of joint venture brands, and the development progressed smoothly. However, the longevity was not long. After the high growth from 2009 to 2010, the development of self-owned brands fell into a trough. The growth rate of self-owned brands last year was only 2%, and the gap between the growth rate of joint venture brands and the growth of joint venture brands has increased to 10%. In January of this year, 488,000 self-owned brand passenger cars were sold, a year-on-year drop of 30.62%. The decline rate has created the highest record in 10 years. From then on, the self-owned brands in the first half of this year can be described as experiencing extreme cold. The watershed comes from July of this year, when the growth rate of self-owned brands surpassed that of joint-venture brands, and reached a high point in September - 13% higher than in September 2011, 17% higher than the growth rate of joint ventures, and this growth rate difference Extended to October. The highest point of the strong counterattack of self-owned brands was in November, although the self-owned brand in November increased by 17% year-on-year, only 10% higher than the joint venture, but the market share of the independent brand narrow-sale passenger car sales volume 11 The month reached 35.1%, the highest monthly record in 20 years, and the market share of the general passenger vehicle also rose to 42.6%. The strong counterattacks of self-owned brands from the third quarter were gratifying, but the data showed that the growth rate in the two quarters did not significantly narrow the gap with the joint venture brands. As of now, the growth rate of self-owned brands and joint venture brands in 2012 is still 7 percentage points, and the share of self-owned brands continues to decline by 1 percentage point. In the 2012 independent brand camp, who is laughing at the situation? According to the relevant data from the National Passenger Vehicle Market Information Association, Great Wall, Lifan, Brilliance, Geely, etc. achieved good growth from January to November 2012, while Changan, Chery, Jianghuai, etc. After September, high growth has resumed. Taking November as an example, Chery is still negative growth, while the growth of the Great Wall, BYD, and Lifan is more prominent. Why is the same market background a few happy families? Industry insiders believe that some self-owned brands have blindly expanded their plates, and as a result, they have been unable to support multi-brand development. Some independent brands have shortsighted eyes and are reluctant to spend money on research and development. As a result, their product technology is aging and lacks competitiveness. Also, some independent brands have expanded too quickly. The efforts to improve quality and after-sales service, coupled with follow-up products can not keep up, leading to a series of problems in the sales network. Why does the independent car company represented by the Great Wall laugh proudly? "Car Weekly" analysis, the market is picking up, Japan's car vacated market gap is one of the factors. However, in recent years, these self-owned brand models have invested heavily in research and development. At present, the core technology and product quality have broken through the technical barriers set by multinational car companies and joint venture car companies are the key factors. 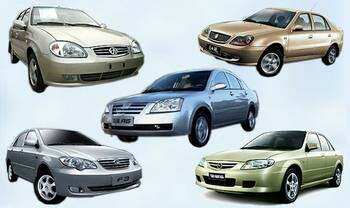 For example, Great Wall Motors has invested more than 4 billion yuan in product and technology research and development since 2006. It has more than 5,000 research and development teams and world-class R&D equipment and systems. It has three series of cars, SUVs, and pickups, as well as powertrains. Into the development and design capabilities, in the engine, transmission and other core links have formed independent technology, standards and intellectual property rights, and cooperate with a number of top global parts and components. In addition, having a joint venture background and sharing advanced joint venture technology is also a major reason why some independent brands have enjoyed a good life. Such as Changan Automobile (Weibo), its own brand models, integrating the advanced technologies of its joint venture brands such as Ford, Suzuki and Mazda. These new technologies have performed on many new cars and new generation models that have been put into production in recent years. The quality is not a joint venture vehicle company, and the price is much cheaper. It is not difficult to understand why Haval H6, Yidong, etc., have gained market access. Favor. On the other hand, some self-owned brand management concepts are upgraded, and instead of relying solely on â€œprice-performance ratioâ€ and â€œprice warâ€ to make the world a success, the product line is successfully upgraded, and the value chain shifts from low-end to high-end, making its sales main force. The growth quality of the models is stronger than the quantity, and these independent brands have also obtained better profit returns, which has led to healthy development. Improvements in product competitiveness, the introduction of energy-saving vehicle subsidy policies, and the decline in Japanese share have all contributed to the development of this yearâ€™s self-owned brands. In the ups and downs of the battle in the independent brand also need to improve? Can it stabilize this virtuous market rebound? How can we be invincible in market competition? In this regard, Cui Dongshu, deputy secretary-general of the National Federation of Travel Unions, believes that the strong rebound of self-owned brands is due to the fact that self-owned brands have made remarkable achievements in the three market segments of economy cars, mid-size cars, and especially small SUVs in the second half of the year. This shows that new products are new products. New performance has become the biggest appeal of consumers. Cui Dongshu introduced that, at present, some independent brands are improving quickly in terms of design performance and manufacturing performance, but their competitive advantages in core technologies such as engine and chassis are not obvious. "Car Weekly" comprehensive analysis that the independent brand must find a competitive advantage in three areas in order to become bigger and stronger. First, find a competitive advantage in the market. At present, the self-owned brand of SUVs has a strong tendency, because brands such as the Great Wall, Landwind, Lifan, BYD, and Guangzhou Automobile Chuanqi make the self-owned brand's SUV product line abundant, and they have taken over from the 60,000 to 150,000 yuan gaps in the Japanese and Korean camps. As a result of the market, this is the only reason that the self-owned brand SUV's share has risen from 30% in November 2011 to 41% in November this year. Objectively speaking, in addition to SUVs, miniaturized MPVs and mini-vehicles, the pressure of self-owned brands in other market segments is very large. It is therefore necessary to make full use of their strengths to deepen and expand their capabilities within the market gaps that have been found. Second, improve the product configuration price ratio. Since the birth of self-owned brands, the biggest advantage of self-owned brands is cost-effective, but in recent years, many independent brands have converted the â€œprice ratioâ€ of performance and price into the â€œconfiguration price ratioâ€. Is this useful? According to statistics, as peopleâ€™s income levels have generally increased, customers who purchase new cars for the first time this year have increased their average price by about 5% compared to similar customers last year. This shows from a perspective that the strategy of reducing costs, using old technology, and lowering price competition is outdated. It is the main reason why joint-venture self-owned brand vehicles are not favored, and the market for half of the independent brand enterprises is declining. In summary, in the long run, independent brands face the pressure of joint venture brands, and they should calmly and quickly find competitive advantages at all levels. Only in this way can independent brands create more living space for themselves.